women who bring loneliness to bed. It will catch my eyes. count the wrinkles on their foreheads. About the Author Elahe Fayazi was born in Mashhad, Iran (September 21st 1987). Her BA was in field of Script Writing at Culture & Art university of Mashhad. She is fluent in Turkish language, therefore, she has translated many works of Turkish writers such as: Nazim Hikmet, Orhan Veli, Ozdemir Asaf & İlhan Berk. About the Artist Mohammed Ali Mirzaei was born in Iran, Tehran (1982). 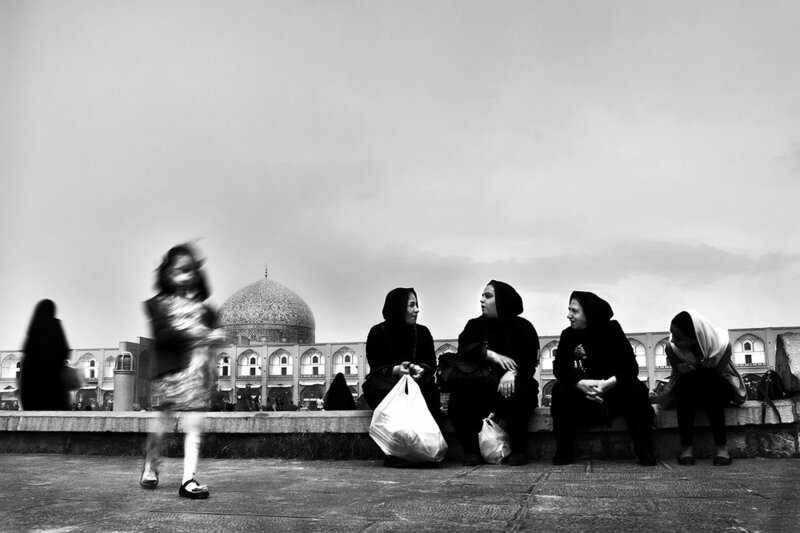 His BA is in the field of News Photography at the University of Culture & Art Isfahan. His works have been in various festivals in Iran, including: First Place in "National Festival of Iranian people," Fourth Place in the "Women and urban life" festival, Winner of Best Collection in the “Festival of Film & Photo Young Cinema,” and chosen for the Fereshteh Prize (Tehran 2015). His photos have also been published in Midway Journal, Oxford Magazine, The Missing Slate, and Silk Road Review.